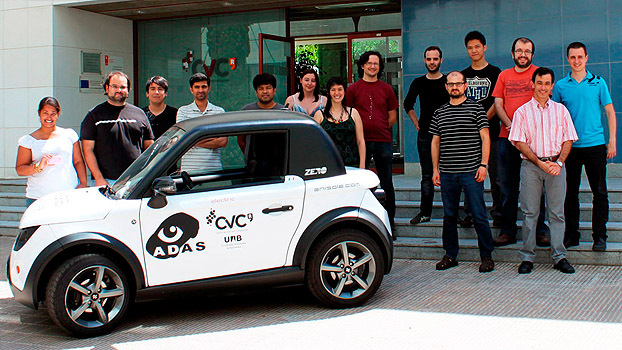 Welcome to the Advanced Driver Assistance Systems research group, part of the Computer Vision Center based in the Universitat Autònoma de Barcelona, Spain. Intelligent vehicles refer to cars, trucks, buses, etc. on which sensors and control systems have been integrated in order to assist the driving task, hence their name Advanced Driver Assistance Systems (ADAS). 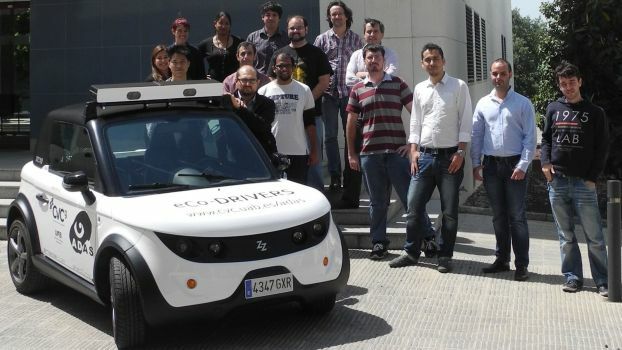 The aim is to combine sensors and algorithms to understand the vehicle environment so that the driver can receive assistance or be warned of potential hazards. Vision is the most important sense employed for driving, therefore cameras are the most used sensor in these systems. In this context, our group is focused on combining computer vision techniques as pattern recognition, feature extraction, learning, tracking, 3D vision, etc. to develop real-time algorithms able to assist the driving activity. Examples of assistance applications are: Lane Departure Warning, Collision Warning, Automatic Cruise Control, Pedestrian Protection, Headlights Control, etc. All these systems can be combined to create a self driving car. The group was founded in year 2002, and it is leaded by Dr Antonio M. López. The group is composed by nine doctors and eleven PhD students. Currently the group is supported by Spanish Ministry of Education and Science (MEC) Research Projects , TRA2014-57088-C2-1-R, TRA2011-29454-C03-00, TIN2011-29494-C03-02, TIN2011-25606 and DGT project SPIP2014-01352. 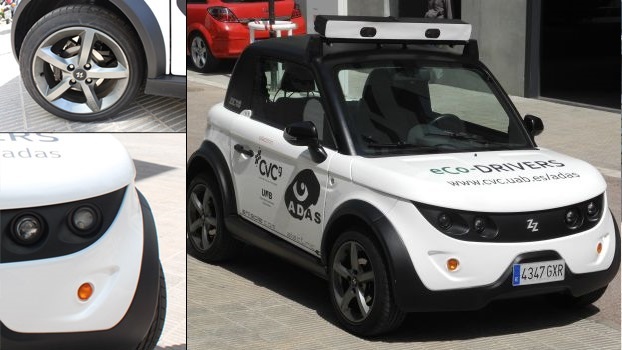 Since 2009, ADAS is a “Grup de Recerca Consolidat” of the Catalan AGAUR (2014-SGR-1506). Our research is also kindly supported by NVIDIA Corporation in the form of different GPU hardware units.